Can be used in adverse weather conditions such as rain or fog. This remote control O-RC1 allows shutter release, lens zooming and Fn button. 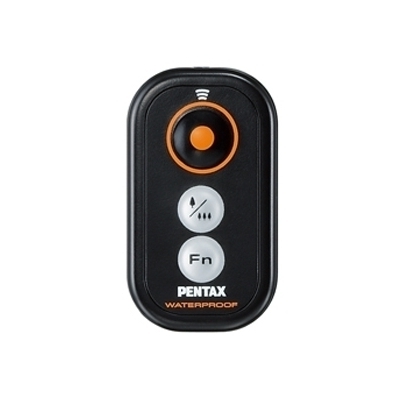 Waterproof and weatherproof, it can fall in to water without damage. Compatible with X-5 and X90 bridge cameras, Optio VS20, WG-4/ GPS, WG-20, WG-10, WG-3/ GPS, WG-2/ GPS, WG-1/ GPS, W90 compact cameras, all PENTAX SLR cameras and PENTAX medium format.